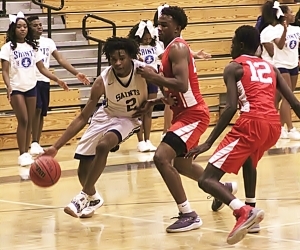 The smoke from the region tournaments has cleared and 17 DeKalb County teams have come out the other side into their respective Georgia high school basketball tournaments. The group represents 12 of the 19 DeKalb high schools including nine girls’ teams and eight boys’ teams. Four of the boys’ teams are ranked and two of the girls’ teams with three other teams who were ranked at one point this season. The No. 5 ranked Tucker Tigers (24-4) and No. 5 ranked Stephenson Lady Jaguars (17-11) along with the Martin Luther King Jr. Lady Lions (14-14) advanced out of Region 4-6A. Host duties on Saturday at 4:00 pm go to the Tigers as they take on Valdosta (12-14) at 4:00 pm at the Tucker High Gym. It is the seventh consecutive playoff appearance for the Tigers under Coach James Hartry. Coach Dennis Watkins’ Jaguars are making a 19th consecutive state playoff appearance under his guidance, but have to go on the road to Northside-Warner Robins (16-9) on Friday at 6:00 pm. Martin Luther King Jr. is making its second consecutive trip to the Class 6A state playoffs and first under Coach Vincent Gatling. The Lady Lions travel down I-75 to Valdosta for a date with the No. 7 ranked Wildcats (23-3) at 7:00 pm on Friday. Eight DeKalb teams advanced out of the Region 5-5A including the No. 3 ranked Southwest DeKalb Panthers (21-6), No. 8 ranked Lithonia Bulldogs (19-9) and the No. 5 ranked Southwest DeKalb Lady Panthers (21-6). The No. 3 Panthers and No. 5 Lady Panthers will host a doubleheader on Friday at Southwest DeKalb in Class 5A State Tournament play. The five-time state champions Lady Panthers under the direction of Kathy Walton open the night at 6:00 pm against Cedar Shoals (11-17) making an eighth consecutive playoff appearance and 13th out of the last 14 seasons. The Panthers and Clarke Central (14-12) play at 7:30 pm as they make it four playoff appearances in a row under Coach Eugene Brown. Lithonia plays host to Loganville (15-12) at 5:30 pm on Saturday. Coach Wallace Corker has his squad in the state playoffs for the fifth consecutive season. Three other Class 5A games on Friday involve two road games and one home game. The Columbia Lady Eagles (20-7) host Loganville (15-13) at 5:30 pm as Coach Eric Bell as his team in for the second consecutive season. 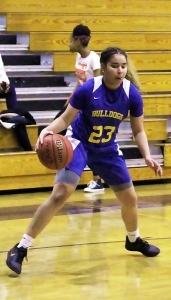 The Chamblee Lady Bulldogs (8-18) and Miller Grove Wolverines (10-18) both travel to face their respective No. 1 ranked Buford teams on Friday. Coach Kurt Koeplin has his Lady Bulldogs in the state playoffs for the third consecutive season and face the 24-2 Lady Wolves. Coach Rasul Chester who led the Wolverines to a runner-up finish a year ago has Miller Grove making a 12th consecutive appearance in the state playoffs taking on the 24-2 Wolves. The Arabia Mountain Lady Rams (19-4) and Columbia Eagles (15-10) both go on the road in Class 5A action on Saturday. Arabia Mountain travels to Clarke Central (12-11) at the Lady Rams make a fifth consecutive state playoff appearance. The Eagles and 600-game winner Coach Phil McCrary are at Cedar Shoals (14-13) for a 6:00 pm game as the Eagles are making a 16th consecutive state playoff appearance. 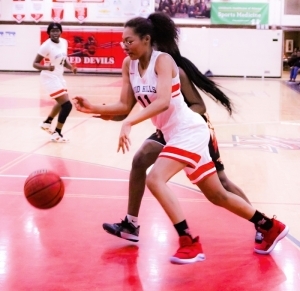 Druid Hills is sending both teams into the Class 4A state tournament as both travel to Carver of Columbus on Friday for their first round games. The Lady Red Devils and Coach Rosaria Rice are making their first state playoff appearance since 2001 and must take on the No. 1 ranked Carver (27-0) at 6:00 pm. Coach Jerome Lee’s Red Devils face off with the No. 5 ranked Carver (21-5) in their third consecutive playoff appearance. 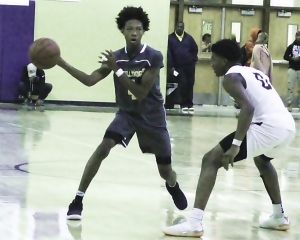 Cedar Grove and Redan are both sending their boys’ and girls’ teams into the Class 3A state playoffs this weekend with only the No. 5 ranked Cedar Grove Saints playing at home. Coach Miguel Patrick’s team plays host to Monroe Area (9-18) as the Saints are making a seventh straight trip to the state playoffs. The Lady Saints (13-10) travel to face No. 3 ranked Jefferson (23-3) on Saturday at 6:00 pm in their third trip to the state playoffs in three seasons under Coach Shenetria Wyche. The Redan (6-14) used an upset of Stone Mountain in the Region 5-3A tournament to earn a trip to No. 4 ranked Hart County (21-6) in Coach Charlyce Henderson’s first season at the helm. Coach Greg Wood’s Raiders (14-14) also came out of Region 5-3A as the No. 4 team and travel to No. 1 Morgan County (24-2) in their second trip in a row to the Class 3A state playoffs.